Smart Giving Matters: Marc Hosmer Joins Us for Good This Time! Marc Hosmer Joins Us for Good This Time! Marc Hosmer joined the Charities Review Council last fall as a temporary nonprofit services assistant. He fits in so well here that he was recently offered a permanent Program Coordinator position and we were thrilled when he accepted (literally, there was cheering in the office)! Besides his love for nonprofits, his generous spirit, and his boat building skills, we also appreciate his laid-back personality, go-getter attitude, and furniture rearranging abilities. In his new role, Marc works closely with nonprofits by providing trainings and one-one-one technical assistance as they complete the Accountability Wizard review process. He works tirelessly to ensure that organizations have all the resources, information, and tools necessary to help them as they work to Meet Standards. When he’s not keeping busy with helping nonprofits, Marc also serves as Executive Director of Urban Boatbuilders, an organization that utilizes the building of wooden boats as a vehicle to develop academic, vocational, and leadership skills in the lives of at-risk youth. He provides leadership to staff and volunteers, oversees fundraising efforts and administers programming; he also works closely with the board of directors to ensure success and facilitate growth for the organization. “I have two fantastic part time jobs that fulfill my loves of helping nonprofits develop their capacity and leadership within youth development organizations,” said Marc. 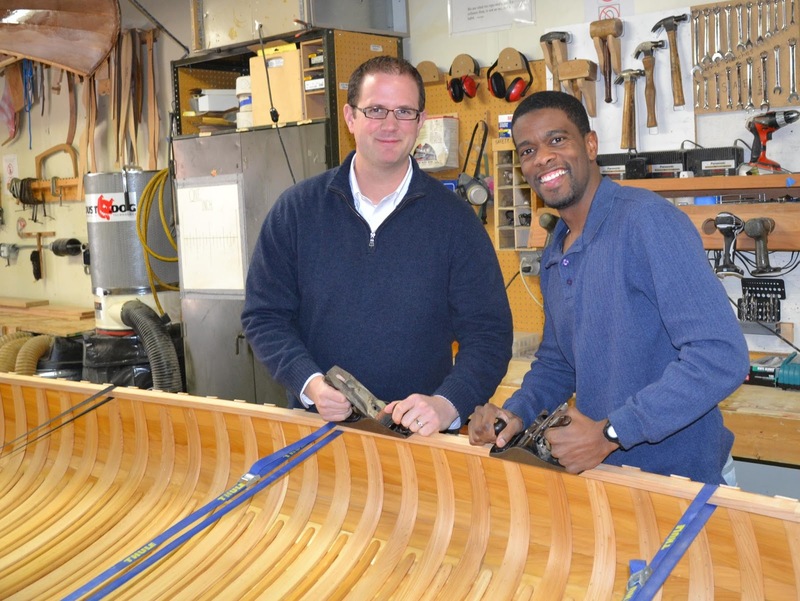 Though it seemed an odd combination of responsibilities at first, Marc quickly realized just how intertwined his work has become at both Urban Boatbuilders and the Charities Review Council. Having spent over a decade in nonprofit leadership positions, he mistakenly thought he knew most of what there is to know about effective organizations. Earning the Meets Standards seal demonstrates to individual donors and corporate foundations a commitment to running a transparent and accountable organization. Meeting standards builds confidence within organizations by confirming that they’re doing the right things to ensure accountability, transparency, and legal compliance or creating an awareness of gaps and providing support in addressing those areas of concern. The review process is a great vehicle to facilitate board engagement. It provides education and open lines of communication to board members who aren’t steeped in the nonprofit world on a daily basis. “Time and again we hear how the Accountability Standards lead to important discussions among board and staff, and that it helps individual board members better understand their role and how they can best contribute to the organization.” Marc loves the nonprofit sector, can you tell? Way to go, Marc! We’re really psyched you are on our team for good! Calling All Idea People: St. Paul Wants You! Get to Know Kate Khaled!